Bringing Prescott the Latest in Hair Extensions and Much More! Great Expectations Salon is the brainchild of Heidi Howden , an esthetician with 11 years of experience, who wanted to combine the services of professional skin care and hair styling. 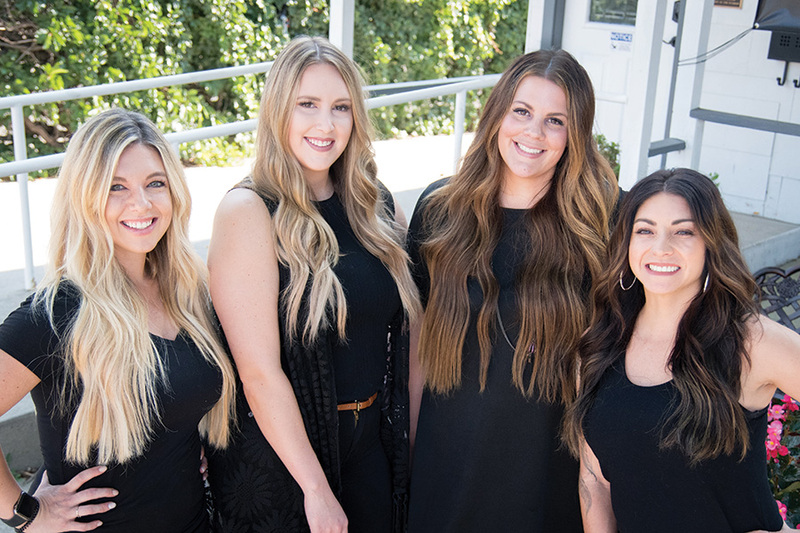 Heidi started the salon in June 2017 and, in the past year, it has grown beyond skin care, haircuts, and coloring to include the newest trends in hair extensions. Three of the salon’s stylists are now certified in Natural Beaded Row (NBR) hair extensions, which are changing the industry. The NBR application method is less damaging than that of other extensions and, more importantly, they’re weightless, versatile, and completely customized to each customer’s cut and color. The stylists at Great Expectations utilize Bohyme Luxe hand tied hair, the highest grade Remi Human Hair. The quality is unsurpassable. The initial NBR appointment includes installment, custom coloring and cut. Because a guiding factor of all the stylists at Great Expectations is continued education and professional development, they’ll continue their NBR training and plan to attend courses in Huntington Beach, California at least two more times before the end of the year. Great Expectations stylists are color experts and use the best products, including Lánza, Wella, and Kevin Murphy. Kevin Murphy is a great product for maintenance of colored hair and also for the NBR hair extensions; it’s free of parabens and sulfates. Great Expectations sells high-quality products to keep customers’ cut, color, and extensions looking their best. The stylists at Great Expectations include Lindsay Winfrey, Jaime Collins, Mikela Torres, and Miranda Hoffman. Combined, they offer more than 40 years of experience. All the stylists have a vast amount of product and service knowledge and are all pursuing their careers. Great Expectations is located at 125 S. Montezuma Street. For more information or to make an appointment, call 928.899.8677 or visit greatexpectationsprescott.com. Walk-ins are welcome.